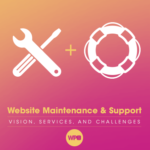 Jim is the Director of Client Services for Maintainn—the maintenance and support division of WebDevStudios. Before moving to the web, Jim held project management positions within the healthcare and aerospace industries. And, prior to his tenure as a project manager, Jim studied and worked as a photojournalist and still enjoys framing and capturing the moment whenever he has a camera in hand.